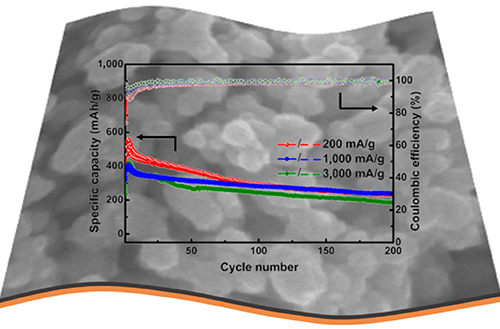 Magnesium ion batteries are emerging as promising alternatives to lithium ion batteries because of their advantages including high energy density, dendrite-free features and low cost. Nevertheless, one of the major challenges for magnesium ion batteries is the kinetically sluggish magnesium insertion/extraction and diffusion in electrode materials. Aiming at this issue, biphase eutectic-like bismuth-tin film is designed herein to construct a self-supporting anode with interdigitated phase distribution and hierarchically porous structure, and further fabricated by a facile one-step magnetron cosputtering route. As benchmarked with single-phase bismuth or tin film, the biphase bismuth-tin film delivers high specific capacity (538 mAh/g at 50 mA/g), excellent rate performance (417 mAh/g at 1,000 mA/g) and good cycling stability (233 mAh/g at the 200th cycle). The superior magnesium storage performance of the sputtered bismuth-tin film could be attributed to the synergetic effect of the interdigitated bismuth/tin phase distribution, hierarchically porous structure and biphase buffering matrices, which could increase ionic transport channels, shorten diffusion lengths and reduce total volume changes. Meijia Song and Jiazheng Niu contributed equally to this work. 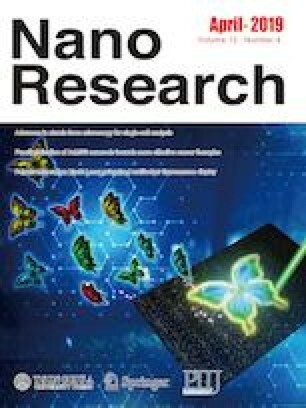 Supplementary material (binary alloy phase diagram of Bi-Sn, operation principle schematic, photographs of the sputtered films, EDS spectrum, XPS spectra, SEM images, the cross-section SEM images, XRD patterns, size distribution diagram, electrochemical performance plots, Table of the EIS data) is available in the online version of this article at https://doi.org/10.1007/s12274-019-2291-1. The authors gratefully acknowledge financial support by National Natural Science Foundation of China (Nos. 51671115 and 51871133), the support of Department of Science and Technology of Shandong Province for Young Tip-top Talent Support Project, and Young Tip-top Talent Support Project (the Organization Department of the Central Committee of the CPC).